​When a driver doesn't buckle up, their young passengers are also likely to be unrestrained, according to research in the March 2019 Pediatrics. The study, "Factors Associated with Unrestrained Young Passengers in Motor Vehicle Crashes," analyzed federal data on crashes between 2011 and 2015 that involved a passenger under age 19 in the vehicle. Compared to drivers who were wearing their seat belts during a crash, those who were not buckled in the event of a crash had a higher probability of having an unrestrained passenger across all passenger age groups. 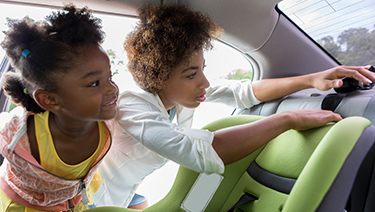 Motor vehicle crashes are the leading cause of unintentional injury death among children and teens in the United States, and unrestrained child passengers are at significant risk of crash-related injury. Study authors said their data showing the strong link between driver and passenger seat restraint use provide further evidence that policies targeting unrestrained drivers are needed. These include primary seat belt laws that let police officers ticket a driver for not wearing a seat belt, without any other traffic offense taking place. Currently, 34 states, the District of Columbia, Guam, the Northern Mariana Islands, Puerto Rico and the Virgin Islands have primary seat belt laws.